AECS Kalpakkam Recruitment 2018-2019 Application Form for Post Graduate Teacher (PGT) Posts Download Application through Official website www.aecsanupuram.tn.nic.in. AECS Kalpakkam PGT Jobs Notification 2018 Released. AECS Kalpakkam invites Walk in Interview for appointment in following PGT post in Atomic Energy Central School, kalpakkam / Anupuram. Candidates are requested to Download Application through Official website. 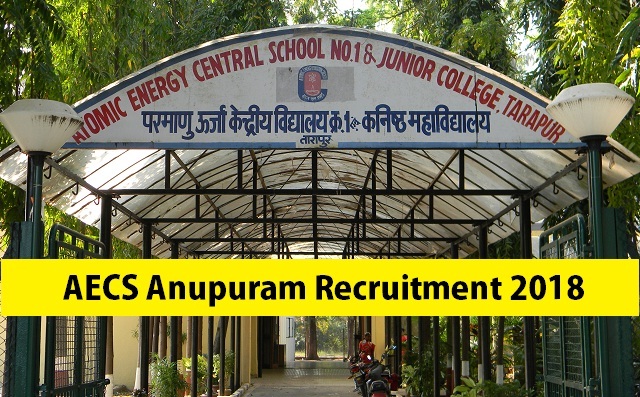 AECS Anupuram Recruitment 2018 PGT Posts-Walk-in Drive - Apply Now. "Atomic Energy Central School, Anupuram".